It' time to ramp up your fitness, and burn more calories with the HOMCOM adjustable incline manual treadmill. With dual weighted flywheels, the manual treadmill is built to deliver a smooth workout at a walk or run while you set the pace. Meanwhile, the fitness monitor tracks your distance, workout time, speed and calories burned. With no electric outlet necessary and no motor to maintain, you can use this treadmill anywhere. It will offer an economical running or walking workout. • Manual treadmill with dual weighted flywheels and two incline positions (15 and 20 degrees). 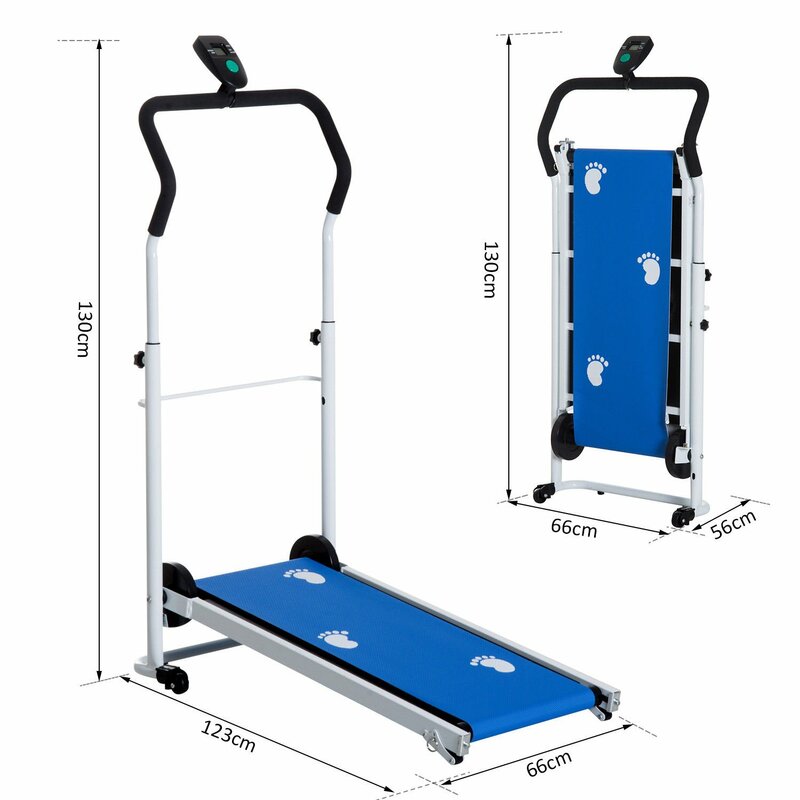 • Manual treadmill with dual weighted flywheels and 3 incline positions (10, 15 and 20 degrees).